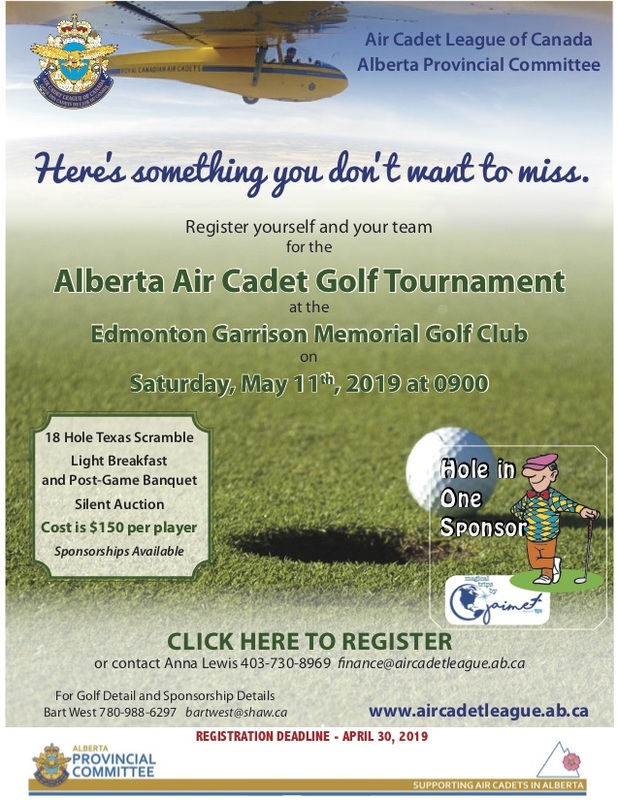 Visit the Air Cadet League of Canada to learn more. One of the major goals of the League’s Strategic Plan Update (SPU) was to evaluate the progress to date of League/Industry relationships, and the opportunities for future expansion. 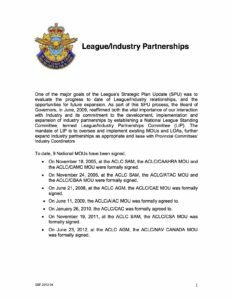 As part of this SPU process, the Board of Governors, in June, 2009, reaffirmed both the vital importance of our interaction with Industry and its commitment to the development, implementation and expansion of industry partnerships by establishing a National League Standing Committee, termed League/Industry Partnerships Committee (LIP). The mandate of LIP is to oversee and implement existing MOUs and LOAs, further expand industry partnerships as appropriate and liaise with Provincial Committees’ Industry Coordinators. Click here to read the full document. 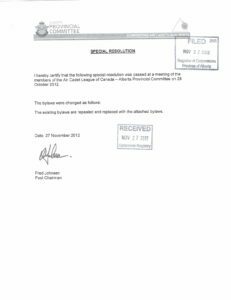 Here you will find the by-laws for the Air Cadet League of Canada, Alberta Provincial Committee passed at a meeting of the members of the Air Cadet League of Canada – Alberta Provincial Committee on the 28th of October 2012. Click here to download.